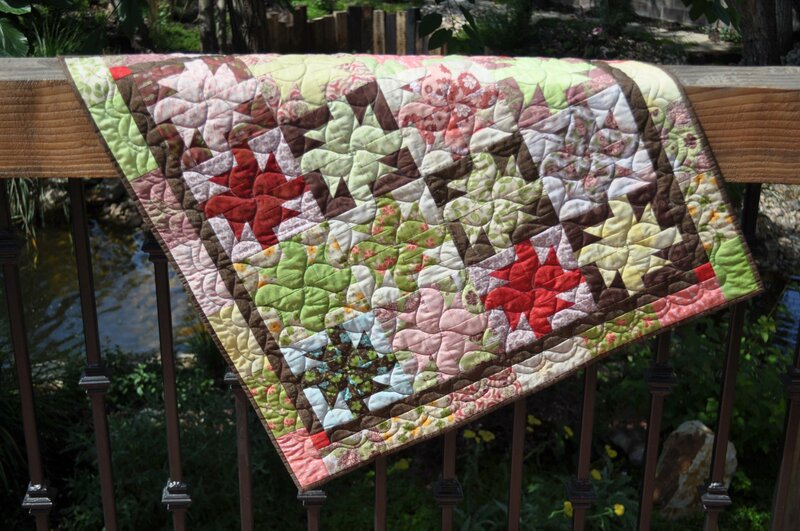 Finished Quilts for Sale > Saw Blade Quilt - 30" x 30"
Browns, yellows, reds, greens and pinks. Variegated thread in the quilting. Green with multi-colored flowers on the backing.